We work with many insurances. Please contact our New Patient Coordinator at 631-847-0200 who can answer all your insurance questions. If you are new to our practice, please call and ask to speak to our New Patient Coordinator at 631-847-0200 who will assist you in completing your paperwork, attaining records from other physicians, explaining our financial policy, and scheduling your first appointment. You can find our new patient packets under the Patient Center drop down menu. I’m a surgical patient, what do I need to know before my surgery? If you are preparing for surgery and need assistance in scheduling appointments, insurance, or have questions regarding your upcoming surgery, please speak to our Surgical Coordinator at 631-847-0200. To request a copy of your medical records or to have your medical records forwarded to us, please speak to our Medical Records Department at 631-847-0200. Please call our office at 631-847-0200 to make an appointment; one of our receptionist will assist you in meeting your appointment needs. Our office hours are Monday through Thursday 8:00 am to 5:00 pm and Friday 8:00 am to 4:00 pm. If you find it necessary to reschedule or cancel an appointment, we appreciate at least 24 hours’ notice. Payment is expected at the time of service. We accept cash, checks, MasterCard, Visa, American Express, and Discover. Please request all prescription renewals during our regular office hours. Our staff members will handle your needs as quickly as possible. How do I get into the Patient Portal? 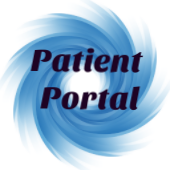 If you are signed up for our Patient Portal, you can access the Portal from our Home Page or here. The Portal can be used to access your medical records, leave a message for your doctor, request an appointment or medication renewals. If you do not have an account on the Patient Portal, please request access at your next appointment. Your Medical Assistant will assist you in setting up your account.